Book Challenge Day 29- The Book That Made You Fall In Love With Reading | What are we...the Whos? 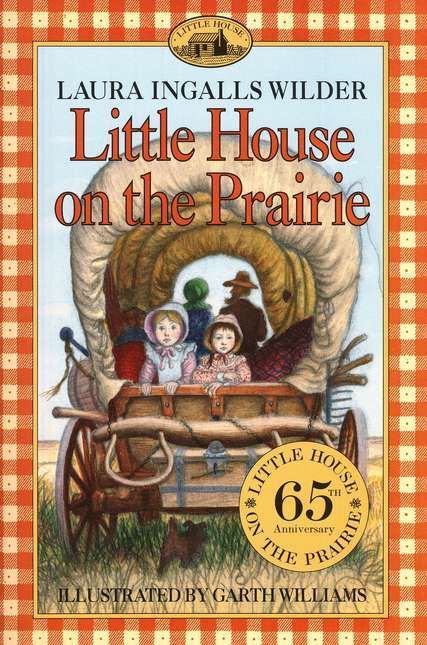 Not just Little House on the Praire, but the whole Laura Ingalls Wilder series got my heart thumping. These books actually made me wish I was a pioneer girl. I don’t know how old I was when I first read Little House on The Prairie but I do know that as soon as I did, I needed the entire set. Instantly. My family (I believe it was my grandmother) obliged and I could not be bothered for days. I ate only when my presence was demanded and spent the whole meal hounding my mother about why we couldn’t be more pioneering. I wanted to make my own cheese and start sewing my clothing. My desire to do these things was only surpassed by my desire to finish reading the series. I had never been so affected by books and I absolutely loved the feeling. I’ve spent the rest of my life searching for that feeling again and adoring every time I come across it. Posted in Authors, books, Reading, Writing and tagged 30-Day Book Challenge, Laure Ingalls Wilder, Little House on the Prairie. Bookmark the permalink.